Jaguar XKR Portfolios will be fitted with the latest in Bowers and Wilkins sound systems as standard, with the high-end speaker maker bringing a little more Brit to the marque car brand. B&W are one of the most respected audio companies around, and a tie-up with Jaguar makes a lot of sense. 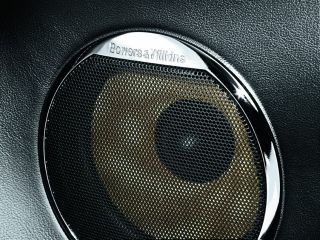 Martin Lindsay, senior business development manager Automotive at Bowers & Wilkins explains: “Designing loudspeakers for in-car entertainment presents a series of engineering challenges. According to B&W, “the automotive team used a rigorous component specification and selection process, then turned its efforts to the system tuning and calibration, ensuring a consistent, compelling entertainment experience for driver and passengers alike”. For those with the cash to spare - the Portfolio special edition is available to order at the end of March, and should arrive on your doorstep by the summer.